Just about a week or two before school begins, I start to look forward to my kids getting out of the house (or my hair) and into a routine again. I crave the routine too, but not all of the obligations that go with it. The one I dread the most is packing lunches everyday for both my sons. It’s not only the chore of it, but it’s the pressure to come up with a variety of lunches so they don’t get “lunch burn out” by Thanksgiving. And I won’t cave to letting them buy school lunches until Jamie Oliver is the personal chef at my son’s school, so that’s not an option. I’d like to share with you a simple idea I came up with that my son thinks is awesome. Now if your child is GF/CF, you’d have to come up with alternatives to replace the gluten and casein in my idea. I’m sure you have seen, heard, or perhaps bought Lunchables for kids. I happen to think its a genius of an idea for kids that are sick of sandwiches, but of course the packaged food industry takes a simple idea and adds a ton of crap to it. I don’t like any product that Kraft puts on the supermarket shelf. 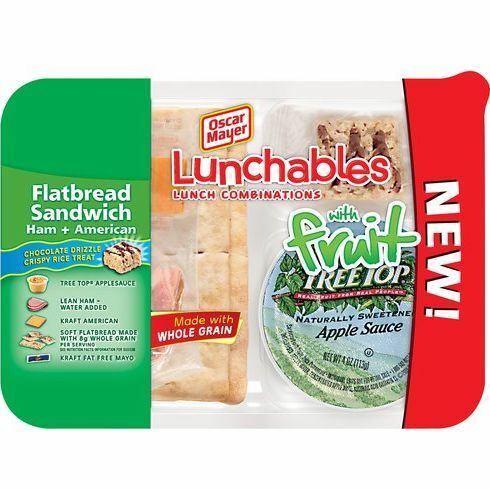 Even Lunchables “healthy” alternatives like their ones with fruit and 100% fruit Capri Sun has a ton of sugar and sodium in it, plus artificial colors, flavors and enough preservatives to choke a horse (has several plus that nasty one BHT), high fructose corn syrup, and American Cheese. American Cheese is not cheese in my opinion and it’s pretty gross. So I put together a clean Lunchables version for my kids. Now this is enough food for my 9-year-old but I do have to add more to the lunch for my eating machine 13-year-old. As for the cracker choice, read the ingredient labels and try to find one that is organic and GMO free. That’s a tough one to find when it comes to grains. As for more ideas other than sandwiches, I’ve also switched out the Canadian bacon for slices of turkey. My youngest also loves hard-boiled eggs so I give him that with the crackers sometimes too. As you see here, my goal is to get healthy proteins in my kids at lunch without filling them up with a ton of carbs that will slow their brain down in the class after lunch. Protein will convert to the necessary neurotransmitters dopamine for cognition: focus and attention. Plus give them energy for the rest of their afternoon. What healthy lunch ideas do you pack for school?